I really hope I never come face to face with my recycling pick-up guy. I fear his judgement. Every week my bin looks the same: the Sunday newspaper, obviously untouched, a couple too many empty wine bottles, and an absurd number of bean cans. He probably imagines me to be some gassy, illiterate wino, bottle in one hand, can o’ beans in the other. But you don’t need to hear about my irrational bout of self-consciousness. You need to hear about how one of those many cans of beans and bottles of wine turned into something more, something better. 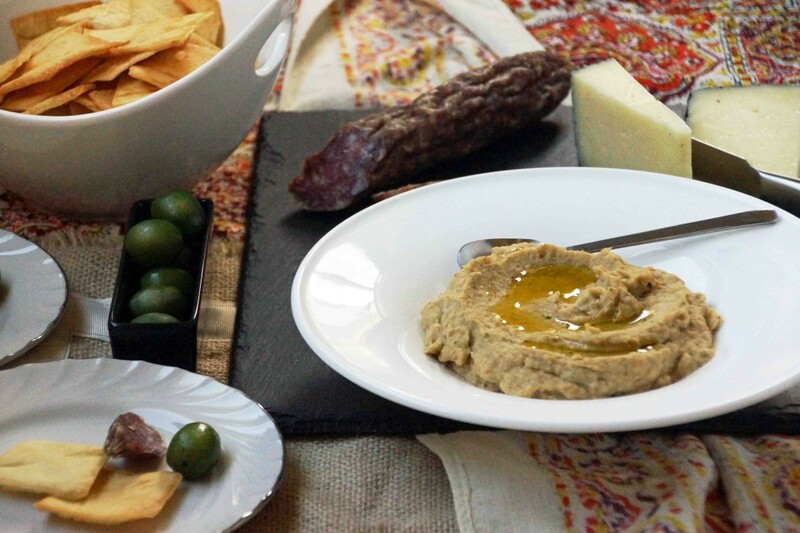 We’re talking a white bean and eggplant dip, loaded with roasted garlic and richened with fruity olive oil. 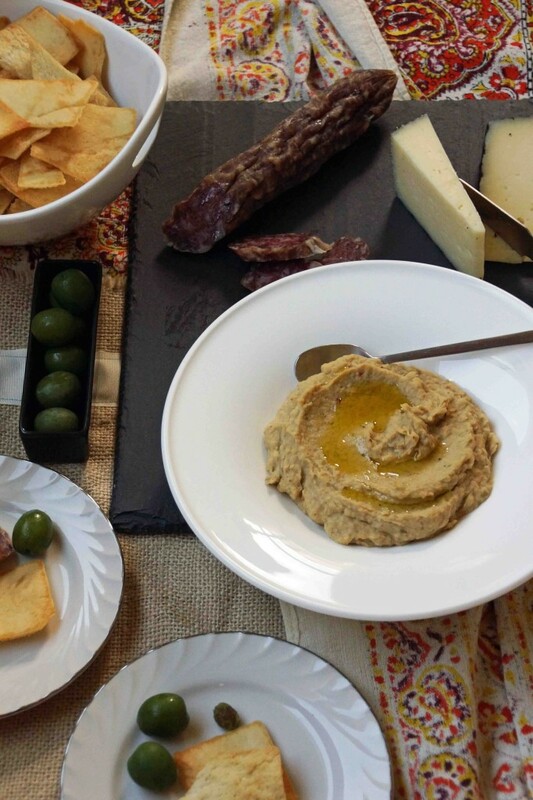 We’re talking way delicious, super easy, and, if paired with a wedge of cheese, a bottle of wine, and some olives or salami, the center of an awesome appetizer spread. Let’s do this! 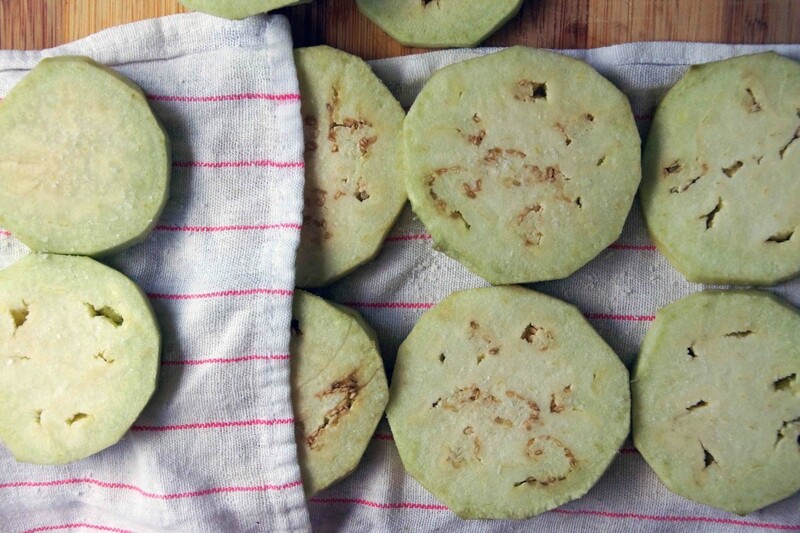 Pop open a can of cannellini beans, peel and slice an eggplant. Sprinkle the eggplant with salt press out the excess moisture. Spread on a baking sheet and dust with smoked paprika. Pop it into the oven with a head of garlic. 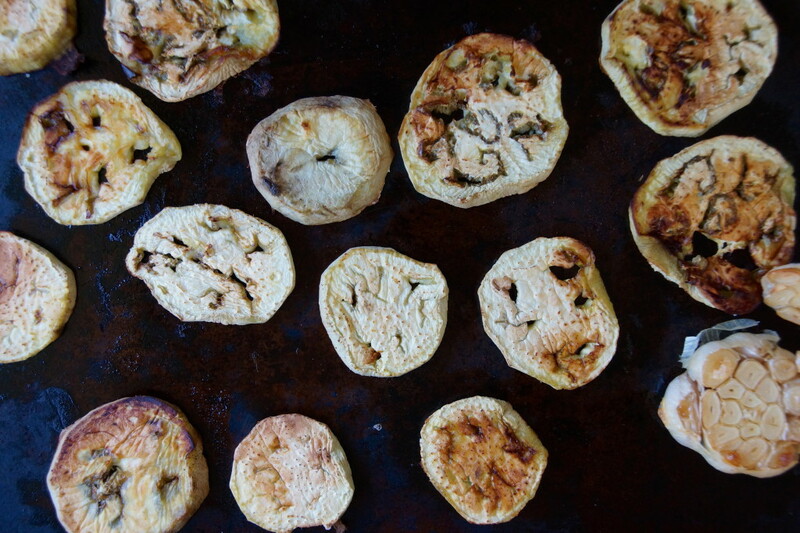 Roast until the eggplant flesh is golden and the texture is creamy. The garlic should be getting soft and completely irresistible around the same time. 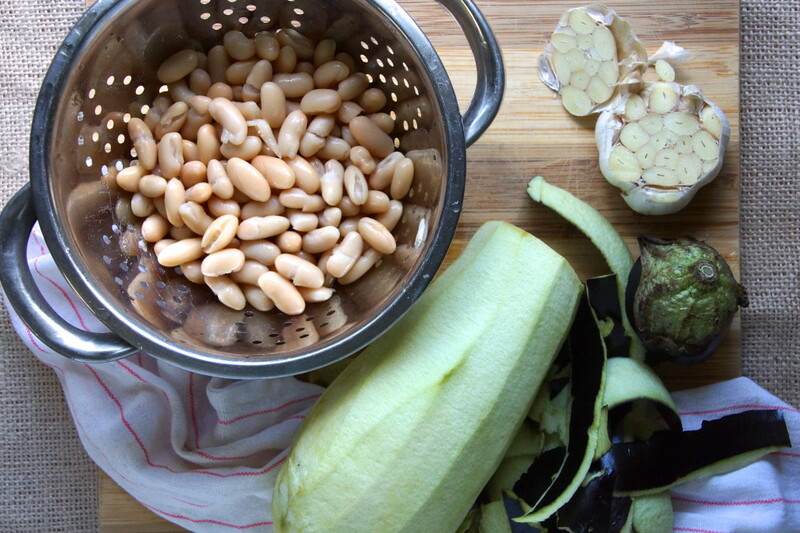 As soon as the roasted garlic is cool enough to handle, squeeze the cloves out and toss ’em in the food processor with the beans and eggplant. Buzz into a thick paste, then thin with olive oil and brighten with a squeeze of lemon. Put the dip in a bowl and drizzle with a little more olive oil for good measure. 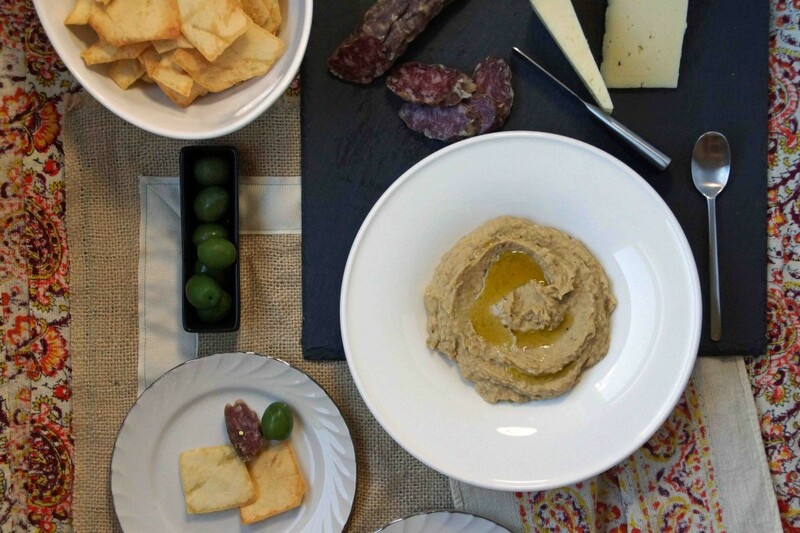 Grab a chunk of cheese, slice a stick of salami, pop a bottle of wine, and invite some friends to help you eat all your delicious dip. Maybe you should invite the recycling dude–show him what you’re really about. This white bean dip makes a great snack with pita chips, sandwich spread, or accompaniment to beef or lamb. Sprinkle the eggplant with salt and spread on paper towels. Let it sit for a few minutes until some of the moisture has been released. Place on a lightly oiled baking sheet and sprinkle with the smoked paprika. Cut the top off the head of garlic and drizzle about a Tbsp. of oil and place on the baking sheet. Roast until the eggplant is browned in spots and cooked through and the garlic is soft and fragrant, about 30 minutes, flipping the eggplant halfway through. 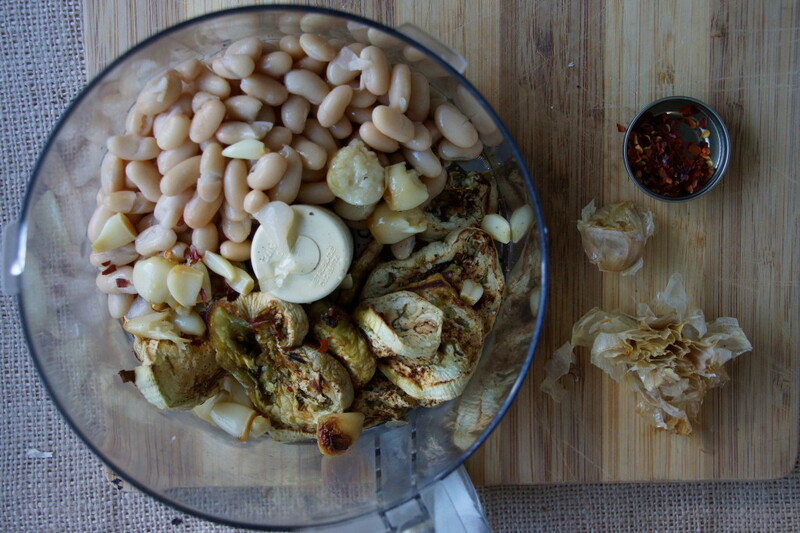 Place the beans and eggplant in the bowl of a food processor. 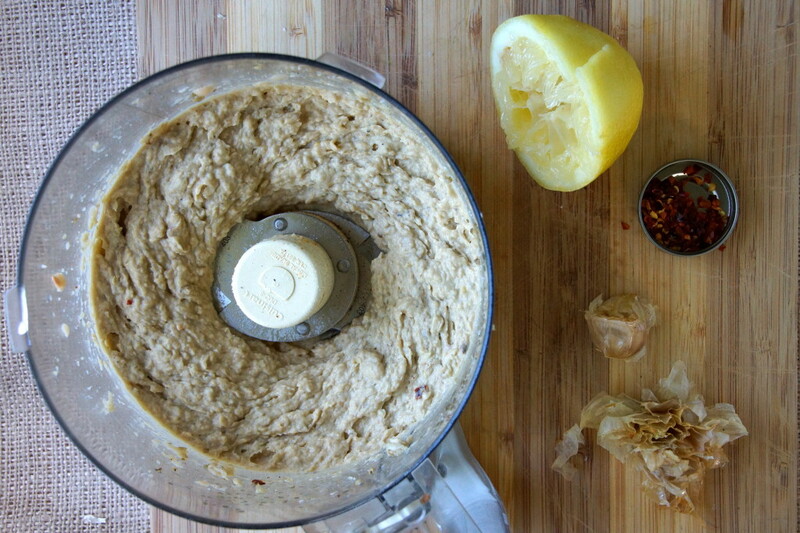 Let the garlic cool enough to handle, then squeeze the cloves into the food processor. Puree into a thick paste. Season with salt, red pepper flakes to taste, and about 1 Tbsp. lemon juice. With the motor running, slowly add ¼ c. olive oil and process until very smooth. Taste. Adjust with additional lemon juice, salt, and pepper, as needed. Transfer to a serving bowl and drizzle with additional olive oil, if serving as a dip. The white bean dip can be made ahead and the flavors actually improve and meld better if prepared a day or 2 before serving. Thinned out with chicken or vegetable stock, it could be turned into a simple white bean soup. Gassy, illiterate wino?! Au contraire! Can’t wait to try this….thanks. Thanks for calming my fears! Thanks for trying out this very tasty recipe on your sister and me!